The soft romance of this amethyst gemstone and polished 14K white gold will leave you feeling like you have been swept off your feet. 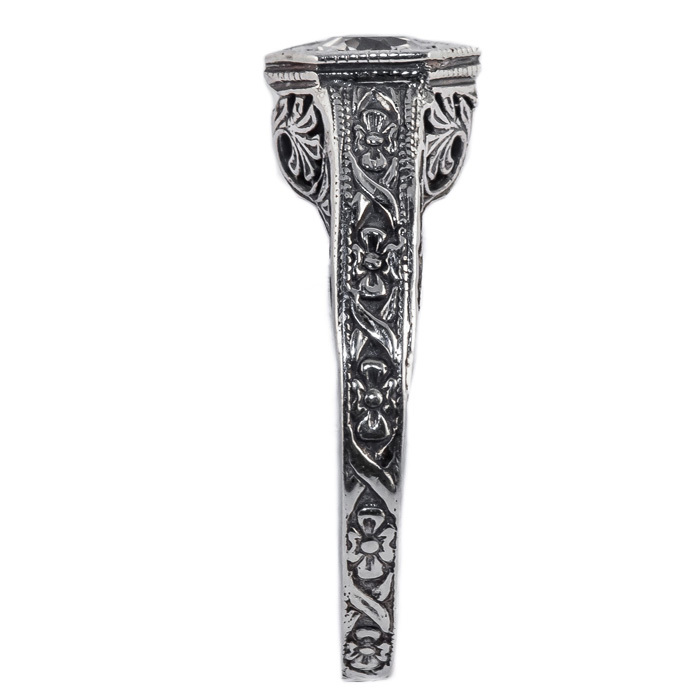 A trendy statement with glamour and high fashion, the antique style ring with floral touches make this piece of jewelry a timeless treasure. The polished 14K white gold ring was designed by the jewelry experts of the Apples of Gold's creative team. Measures 4.5mm and makes the perfect gift for every woman on your list. Ready to ship from our jewelry emporium today. 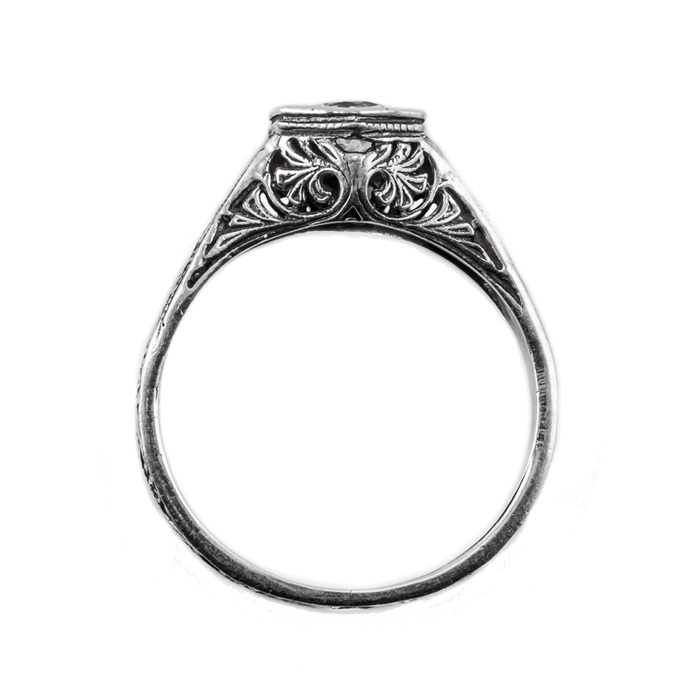 You will instantly fall in love with the floral ribbon design on this antique style 14K white gold ring. 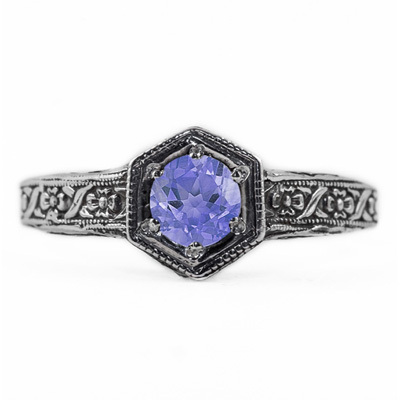 We guarantee our Floral Ribbon Design Vintage Style Tanzanite Ring in 14K White Gold to be high quality, authentic jewelry, as described above.